Would it Make Sense for You to Refinance Your Car? If you want a better interest rate on your auto loan and possibly a lower monthly payment, you may be able to refinance your car. Just make sure that the timing is right. It could pay to refinance if your credit score has improved since you took out the original loan. You will also want to consider whether or not interest rates in general are lower. Refinancing a loan is typically very straightforward, so approval decisions are usually made quickly. 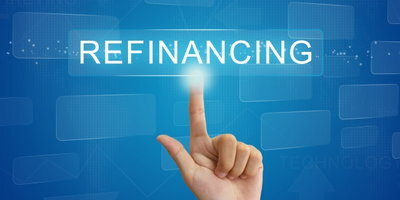 After you are approved for refinancing, the process is fairly simple. Call your current lender and request a 10-day payoff amount for your loan. 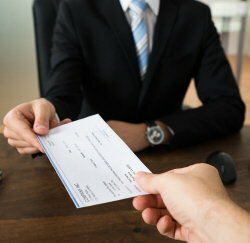 Receive a check for the payoff amount from your new lender. Use this check to pay off the old loan. Start making payments to your new lender. Before signing on with a new lender, you should shop around for the best rates and terms. Luckily, there are plenty of online resources available that can help you with your search. Again, with refinancing, it's all about timing. 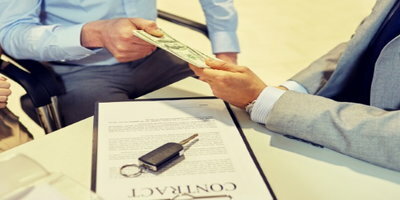 For example, because of the way that most auto loans are structured, a larger portion of the interest is paid during the first half of the loan term. So, it will benefit you more to refinance earlier instead of later in the repayment period. You should also ask yourself a few questions. Has Your Credit Score Improved? If you had damaged credit when you financed your vehicle, it is likely that you were assigned a higher-than-average interest rate. However, if your credit is now significantly better, you may be able to get a lower rate through refinancing. A new lender might be happy to approve you if you have made several months of on-time payments on your current loan. Has the Prime Interest Rate Dropped? All interest rates are based on the prime rate, which is largely determined by the federal funds rate. This is the overnight rate that banks use to lend to one another, and it can fluctuate. If the prime rate has dropped even a little since you bought your car, you could save money by refinancing your loan. Would You Benefit from a Lower Monthly Payment? If you are struggling with an expensive car payment, refinancing could bring these payments down to a more comfortable level. This can happen two ways. If your interest rate drops enough, you might pay less monthly without extending the length of your loan. However, some consumers choose to refinance without the benefit of a reduced interest rate. If you are only concerned with lowering your car payment, you can refinance with a longer term auto loan. And while this will most likely allow you to pay less from month to month, you will probably end up paying more in interest charges over the course of the loan. So, make sure that this is really the best option for you before extending your loan term just to get a lower car payment. Refinancing can be good if you want to refinance your car for the right reasons and if the timing is right. 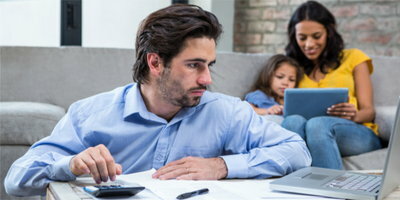 If you take a good look at your current situation and realize that the circumstances are not really ideal, it might pay to wait on refinancing. If your current car isn't as safe and reliable, it may be time to replace it with a newer model. But if you have bad credit, you may be putting off your purchase until your credit is better. However, at Auto Credit Express, we don’t think that you should have to risk your safety. You can get the car you need now, and we can help. For no charge, we will match you with a dealership in your area that can give you your best shot at getting approved for an auto loan. Our process is quick and hassle-free, and applying with us will put you under no obligation to purchase anything. So, go ahead and fill out our simple and secure online application to get started today. Is Refinancing the Right Choice for You? Can You Refinance a Car Loan with the Same Bank? When Can I Refinance My Auto Loan? Does Refinancing Help You Save Money on a Car Loan?